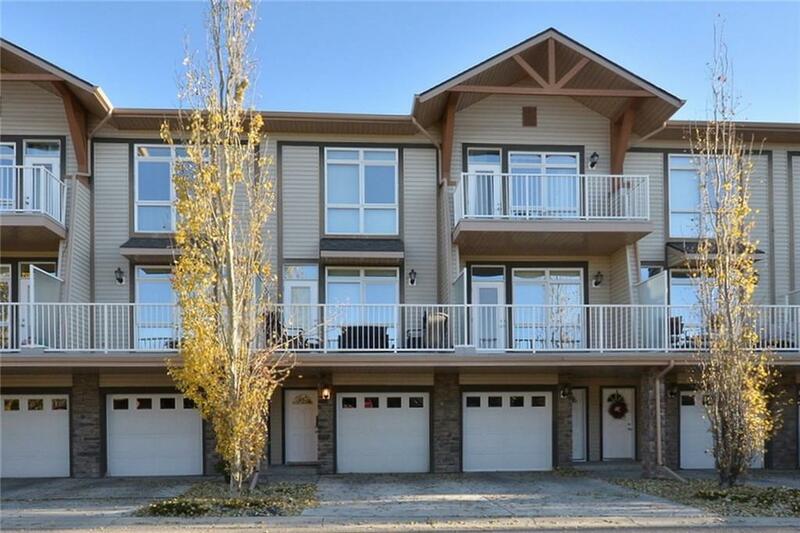 Beautiful two storey townhouse in the community of Rocky Ridge with amazing mountain views. 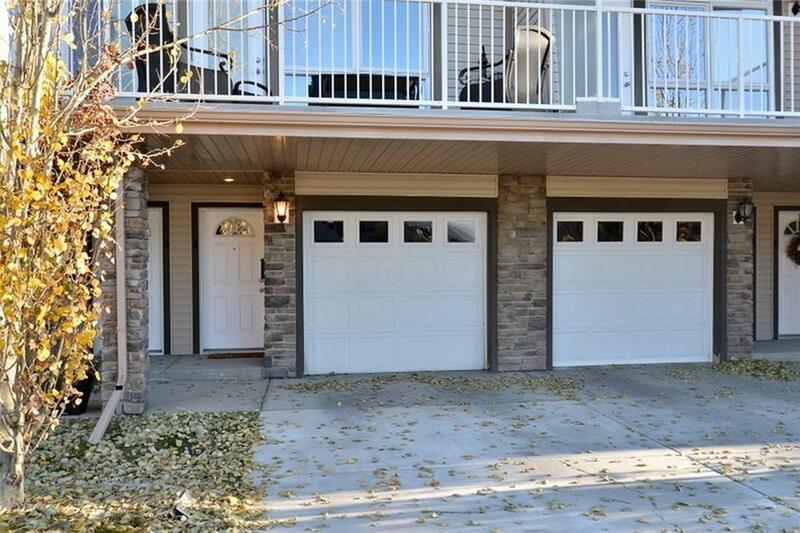 This home is in immaculate condition with pride of original owner evident throughout. 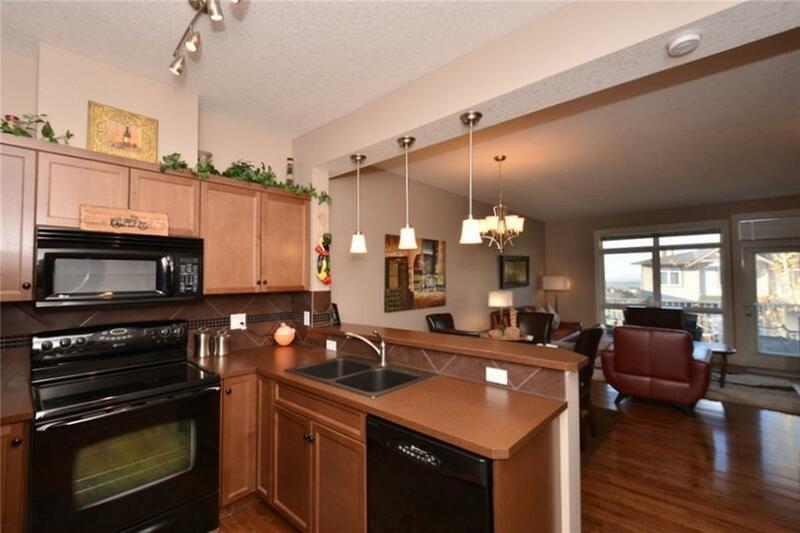 The open concept main floor is great for entertaining. The functional kitchen is U-shaped with a raised eating bar, modern cupboards and hardwood flooring. 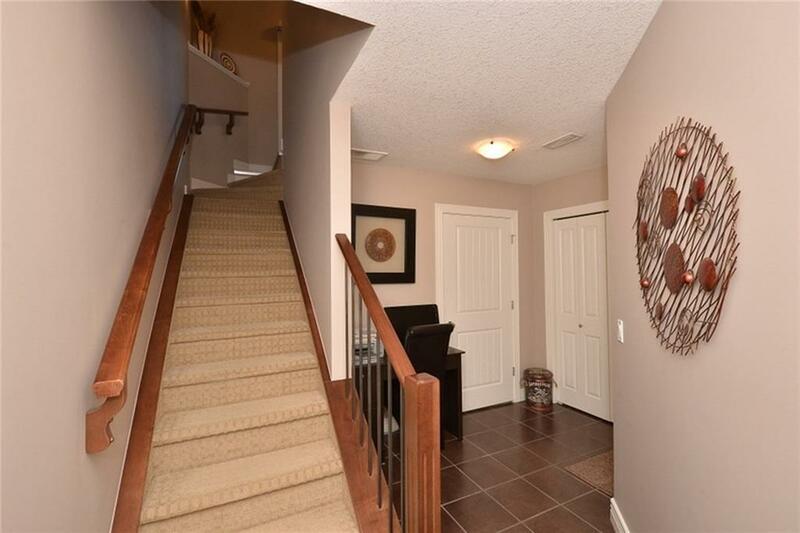 Spacious living room offers a great mountain view and steps out onto a large balcony. The upper level features 2 good sized bedrooms with custom black out drapes and the master bedroom boasting large double closets, 3 pc en-suite and another awesome view of the mountains. A full bathroom and upper floor laundry complete this level. The lower level has in-suite storage, heated floors and a single attached garage which will accommodate your car and toys. It is only a short walk to LRT Station and shopping. Included in the condo fee is a well equipped gym for the fitness enthusiast. This is a must see home. Call your favorite Realtor today to book a viewing. Data supplied by CREB®’s MLS® System. CREB® is the owner of the copyright in its MLS® System. The Listing data is deemed reliable but is not guaranteed accurate by CREB®. The information provided is for consumers’ personal, non-commercial use and may not be used for any purpose other than to identify prospective properties consumers may be interested in purchasing. The trademarks MLS®, Multiple Listing Service® and the associated logos are owned by The Canadian Real Estate Association (CREA) and identify the quality of services provided by real estate professionals who are members of CREA. Used under license. The trademarks REALTOR®, REALTORS®, and the REALTOR® logo are controlled by The Canadian Real Estate Association (CREA) and identify real estate professionals who are members of CREA. Used under license. Data last updated: 2019-04-18T11:29:35.403.